When it comes to souvenirs, there’s nothing scarier than those silver tourist teaspoons with a picture on the end… Put those away quietly and take out something still very Australian and much more beautiful: an Alperstein Sugar Bowl. Made from fine bone china with a bamboo wood lid, this quaint sugar bowl is decorated with a beautiful artwork from Teddy Gibson. A small white porcelain spoon is included fitting perfectly into the side of the bowl, making for a delightful set to be used and adored at your next quiet afternoon tea. Based on an artwork by Teddy Gibson. 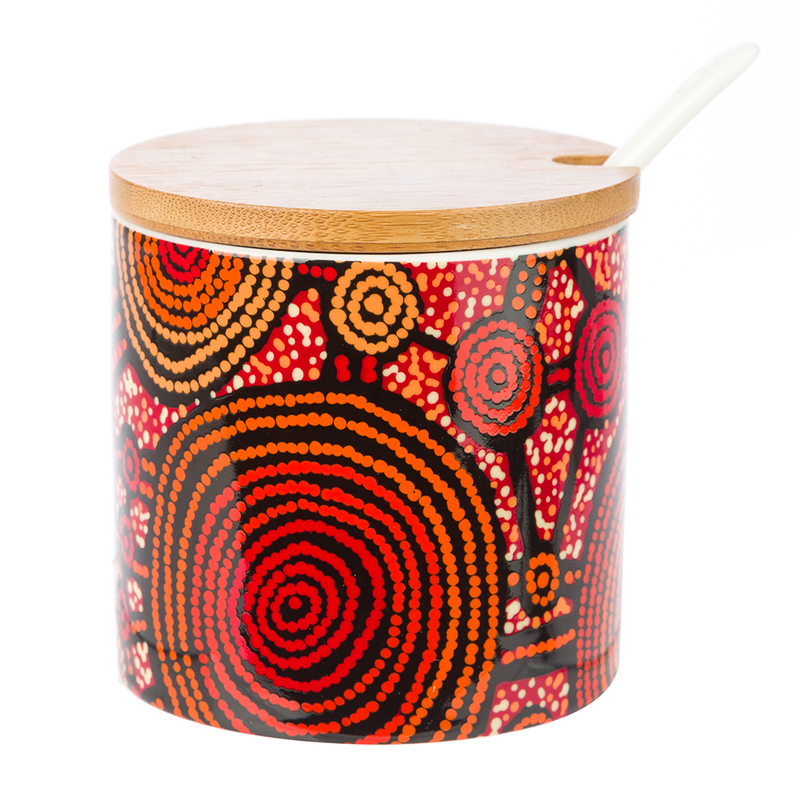 Made from fine bone china, with a bamboo wood lid. Includes a small white porcelain spoon. 1 x 8cm (h) x 8.5cm (d) Sugar Bowl. 1 x 13.5cm Porcelain Spoon.